All nominated books are available at our library. Amazon Summary: "On the first day at his new school, Leo Denton has one goal: to be invisible. Attracting the attention of the most beautiful girl in his class is definitely not part of that plan--especially because Leo is a trans guy and isn't out at his new school.Then Leo stands up for a classmate in a fight and they become friends. With Leo's help and support, the classmate, who is a trans girl, prepares to come out and transition--to find a new name, Kate, and live a truth that has been kept secret for too long. Kate and Leo are surrounded by bigots, but they have each other, and they have hope in their future." Amazon Summary: "​Of course I want to be like them. They're beautiful as blades forged in some divine fire. 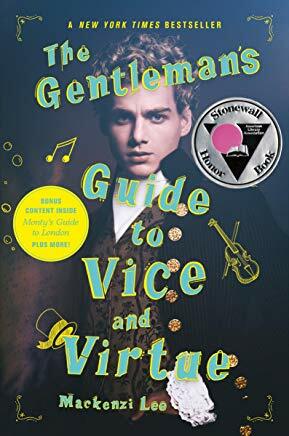 They will live forever.
."Amazon Summary: "​A young bisexual British lord embarks on an unforgettable Grand Tour of Europe with his best friend/secret crush. An 18th-century romantic adventure for the modern age written by This Monstrous Thing author Mackenzi Lee--Simon vs. the Homo Sapiens Agenda meets the 1700s. 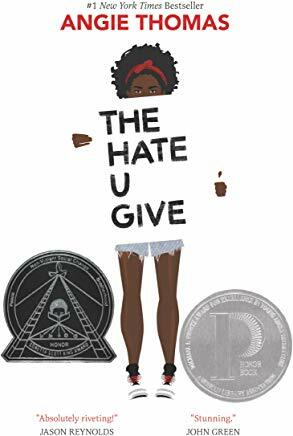 Amazon Summary: "Sixteen-year-old Starr Carter moves between two worlds: the poor neighborhood where she lives and the fancy suburban prep school she attends. The uneasy balance between these worlds is shattered when Starr witnesses the fatal shooting of her childhood best friend Khalil at the hands of a police officer. Khalil was unarmed. ​But what Starr does—or does not—say could upend her community. It could also endanger her life." 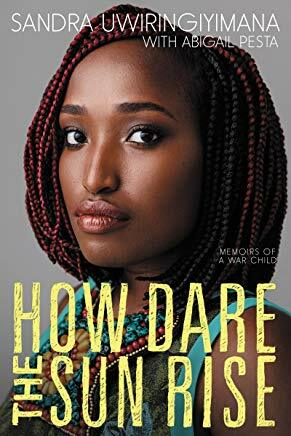 Amazon Summary: "This profoundly moving memoir is the remarkable and inspiring true story of Sandra Uwiringiyimana, a girl from the Democratic Republic of the Congo who tells the tale of how she survived a massacre, immigrated to America, and overcame her trauma through art and activism. Sandra was just ten years old when she found herself with a gun pointed at her head. She had watched as rebels gunned down her mother and six-year-old sister in a refugee camp. Remarkably, the rebel didn’t pull the trigger, and Sandra escaped. Thus began a new life for her and her surviving family members. With no home and no money, they struggled to stay alive. Eventually, through a United Nations refugee program, they moved to America, only to face yet another ethnic disconnect. Sandra may have crossed an ocean, but there was now a much wider divide she had to overcome. And it started with middle school in New York. ​In this memoir, Sandra tells the story of her survival, of finding her place in a new country, of her hope for the future, and how she found a way to give voice to her people." Amazon Summary: "An unlikely teenager starts a feminist revolution at a small-town Texan high school in the new novel from Jennifer Mathieu, author of The Truth About Alice. 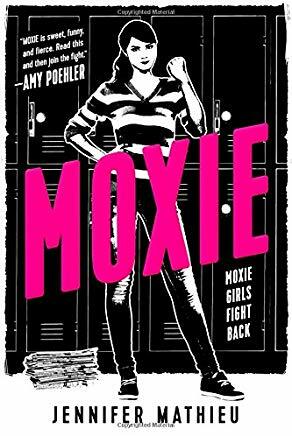 ​Moxie is a book about high school life that will make you wanna riot!" Amazon Summary: "Pay close attention and you might solve this. 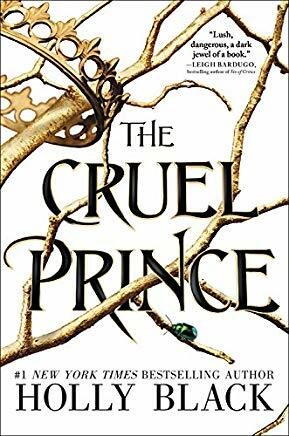 Amazon Summary: "Two teens must learn the “art of killing” in this Printz Honor–winning book, the first in a chilling new series from Neal Shusterman, author of the New York Times bestselling Unwind dystology. Scythe is the first novel of a thrilling new series by National Book Award–winning author Neal Shusterman in which Citra and Rowan learn that a perfect world comes only with a heavy price." Amazon Summary: "Three years ago an event destroyed the small city of Poughkeepsie, forever changing reality within its borders. 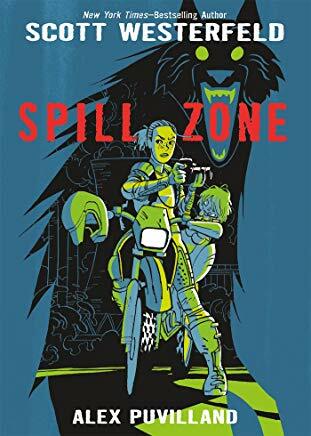 Uncanny manifestations and lethal dangers now await anyone who enters the Spill Zone. The Spill claimed Addison’s parents and scarred her little sister, Lexa, who hasn’t spoken since. Addison provides for her sister by photographing the Zone's twisted attractions on illicit midnight rides. Art collectors pay top dollar for these bizarre images, but getting close enough for the perfect shot can mean death―or worse. ​When an eccentric collector makes a million-dollar offer, Addison breaks her own hard-learned rules of survival and ventures farther than she has ever dared. Within the Spill Zone, Hell awaits―and it seems to be calling Addison's name. Amazon Summary: "Sixteen-year-old Aza never intended to pursue the mystery of fugitive billionaire Russell Pickett, but there’s a hundred-thousand-dollar reward at stake and her Best and Most Fearless Friend, Daisy, is eager to investigate. So together, they navigate the short distance and broad divides that separate them from Russell Pickett’s son, Davis. 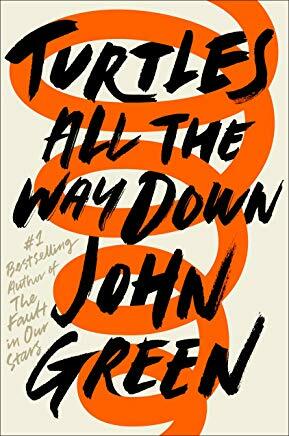 ​In his long-awaited return, John Green, the acclaimed, award-winning author of Looking for Alaska and The Fault in Our Stars, shares Aza’s story with shattering, unflinching clarity in this brilliant novel of love, resilience, and the power of lifelong friendship."